Which Facebook forum? I certainly hope you posted it as likely to be a fake. Your ability to reduce an endless number of rational and irrational possibilities to a single "obvious" conclusion is amazing. Truly amazing. Your ability is even more amazing than Peter Parker's. Why did you put quotation marks around the word "obvious" when I never wrote that word, or even implied it? I said it was either mind blowing or a forgery. At the time, you didn't claim it was fake. But, I definitely allowed for that. I am afraid not. I have a directory filled with various images or comics and original art that I picked up off the Internet over the years. I thought maybe someone sent you the scan to "authenticate" it. If you can't see that upon reflection, suggestion: get a new mirror. They're cheap and huge selection at Walmart or Target. The "art" is on an illustration board. Now such boards were used sometimes to put together various stats but there do not appear to be any edges indicating any stats. So again not production art. Production art for the interior pages of Captain America Comics #1 do exists, or more precisely copies of the production art. Both Joe and Jack had copies of what were called flats. Flats are shots of the original art (no colors) laid out as groups of four just as the would be printed. 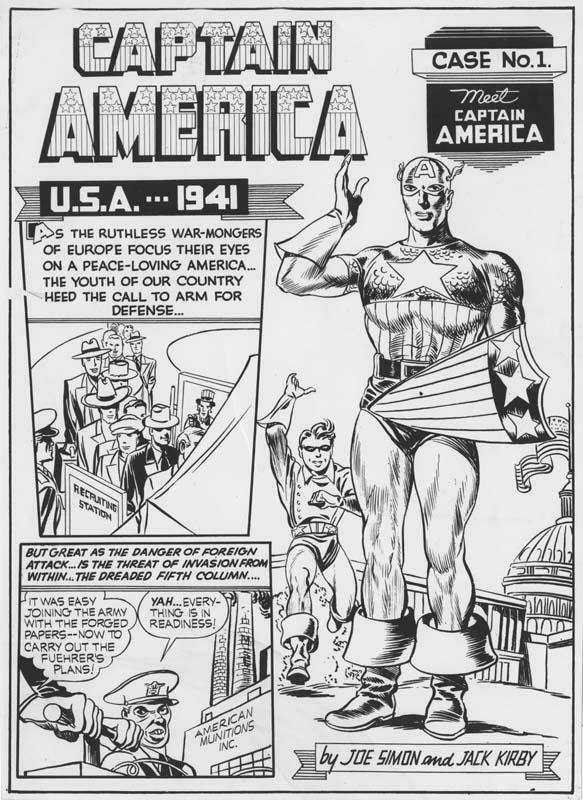 Jack's copies of the original flats were used in the first reprints of the S&K Captain America comics. Joe's ended up in the Heritage auctions of his collection, but were not correctly identified as copies of the original production art. I managed to pick up the copies from the origin story. Production art is easy to fake. It is done all the time and sold on eBay. I would not buy any production art unless there is good provenance. Harry - you have a wealth of knowledge to share and personally, S&K Cap is top 5 for me. So regardless of the Cap #1 being a fake, you passing down any knowledge is greatly appreciated. You’re right that someone in this thread needs to do some self reflection. And it isn’t I. There was a large deal of speculation, only a couple of years ago, about why so many Kirby pages were being pulled from dealer sites and auction houses. Perhaps it was to avoid legal wrangling with the Kirby estate, etc? Moreover, reputation matters to some people. Even if legal entanglements could be sorted out and they'd prevail (eventually), they may not want their business aired in open court. And putting aside the criminal statues, there's the "ownership" issue that has to be legally resolved. Who rightfully owns the cover to Amazing Fantasy 15? Could it be said that after its arrangement to return all of its art to the artists, Marvel was only a custodian of it until it could be returned to Jack Kirby? Except, whoops! It disappeared. Has Marvel ever said to these artists (Sorry. Your art was destroyed at the printers, as you know commonly happens, etc). The fact is, Marvel doesn't know what happened to the art. Jim Shooter didn't know, as he stated on his blog (he even speculated that a flood, or water damage at have destroyed some of it at one point). Irene Vartanoff didn't know either. A lot of sturm and drang has been bandied about in this hobby (I've read it) about all the "stolen" Marvel art. Some of which has (or has it?) surfaced. Some of it still has not. 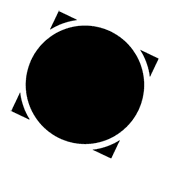 People speculate that a lot of stuff found its way into some black hole collections. All I am saying is that there appears to be no good reason why these covers would be in a landfill somewhere. Your sole piece of evidence is that they have never been offered for sale. Until a few years ago, did anyone believe the AF 15 art was still around? Maybe there were "wild" speculations like mine that it was somewhere, and that person was laughed at or mocked as being silly. "If someone had the OA to Amazing fantasy 15, why in the world has something so valuable never been offered for sale? It's preposterous." The really detailed inventory of the art was not undertaken until 1974. So, who knows what happened to many of those pages in the 12-13 year interim. Assuming the above is correct, then it seems my theory that they still exist in someone's black hole collection n somewhere is much more plausible. What I find interesting is that Glen argues in his article, that the existence of the interior OA was used as evidence that the covers were destroyed by older collectors and dealers, not as evidence that they covers still existed after being returned from the printer (as I speculated, apparently, correctly). I'm not reading that "the covers were destroyed by older collectors and dealers"...and if I did miss it, why in the world would they want to do that? Apologies #28, my mistake and corrected above for posterity. I understand that #30 showed up on eBay and sold fairly inexpensively due to the tiny Spider-man. Speaking of things that showed up on eBay, the complete interiors to the Iron Man story from TOS #39 showed up a few times but hasn't appeared again for a long time. I wonder where those are now. I THINK the asking was 100K, which at the time(s) seemed outrageous but now seems cheap. The Spidey #30 cover did not sell when it was put on ebay in 2002 (as a "buy it now"). At the time it was listed there, the asking price was EXTREMELY high. After it was moved privately, it's been in the same collection since 2003. Welp, seems legit, it exists, so we can close this thread forever, right? Please?